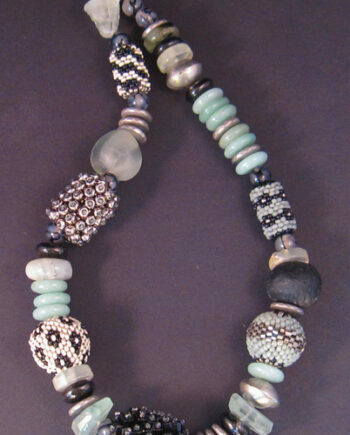 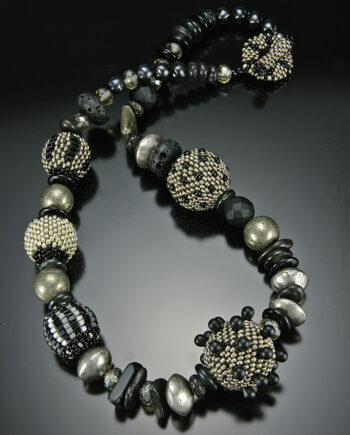 Graphic black and bone with pops of jewel tones create a whimsical and elegant necklace. 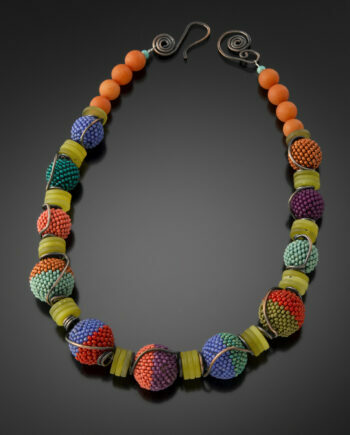 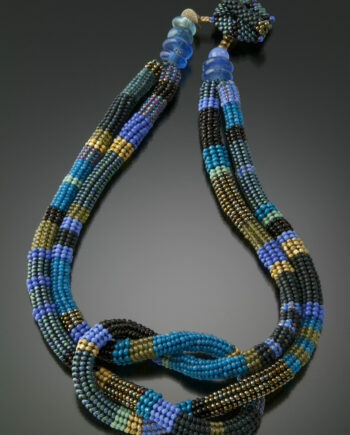 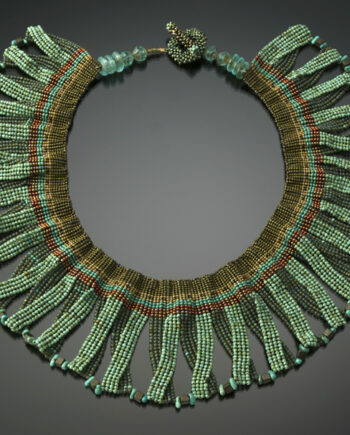 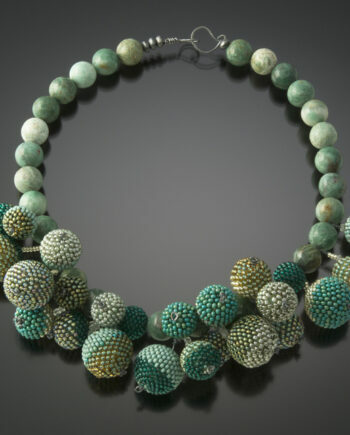 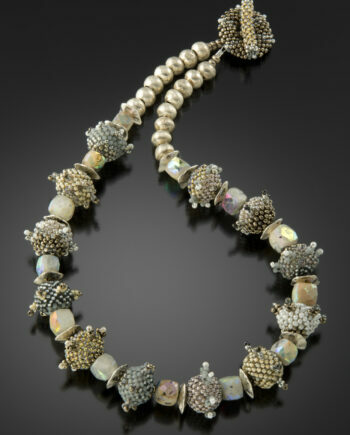 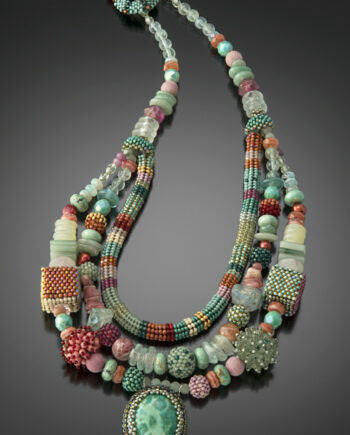 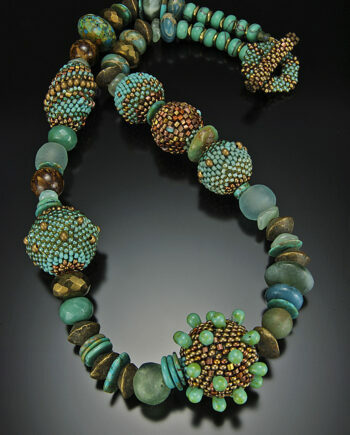 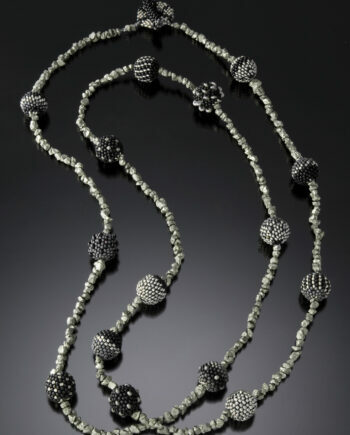 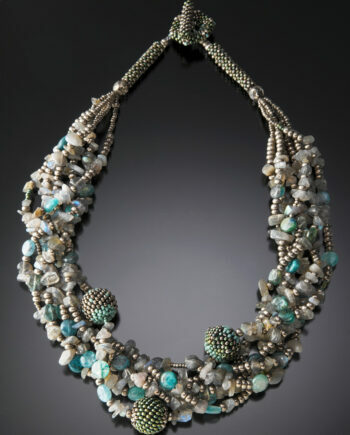 Playful beaded beads in a sea urchin design, interspersed with herringbone multi-color tubes and African sand-casted discs. 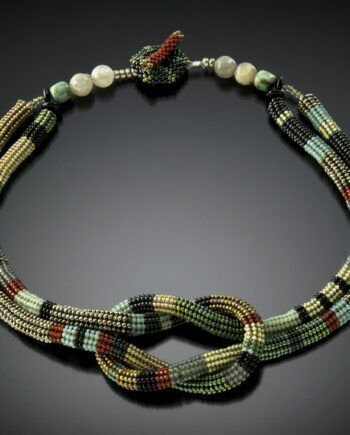 Hand woven toggle closure. 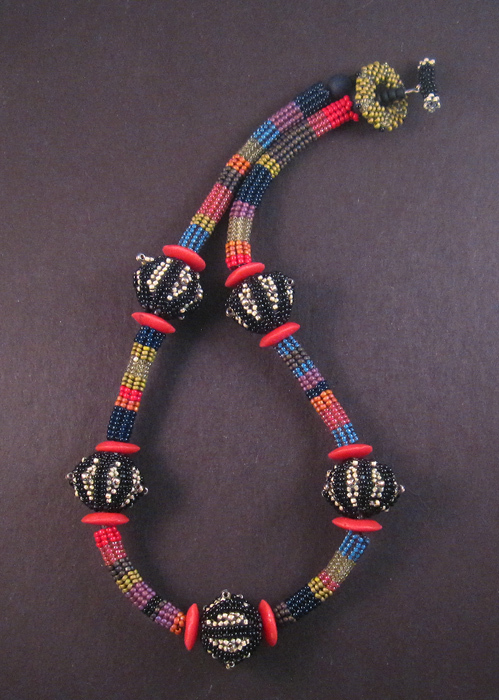 18 inches in length, and 1.25 inches at widest point.